The Rural Student Entry Scheme (RSES) to Medicine at UNSW was first introduced in 1997. Applicants with a significant rural background who apply through the RSES compete for a separate entry quota of at least 27% of UNSW’s yearly domestic Medicine intake. Applicants who have completed high school or who are currently undertaking or have previously undertaken a university degree can apply to Medicine at UNSW via the RSES. 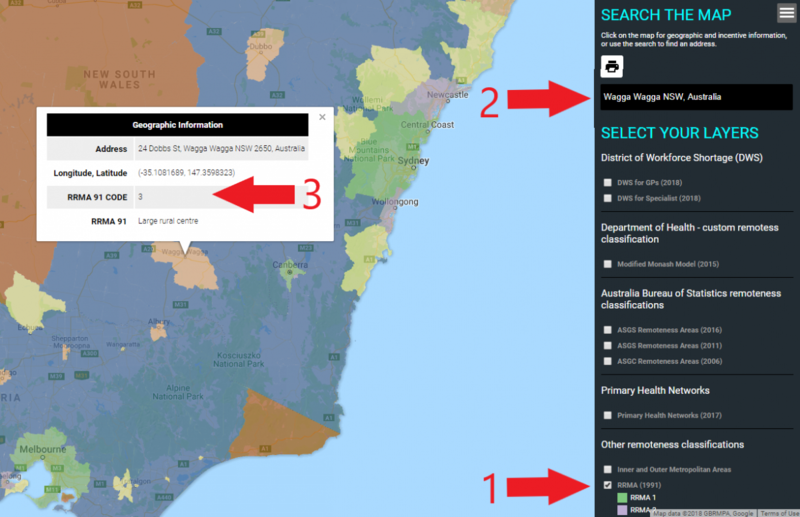 Check the RRMA Classification in the Geographic Information box. To be eligible, RSES applicants must be either an Australian/New Zealand citizen or an Australian permanent resident. Please note, the RSES is an entry scheme to Medicine. Students who enter Medicine through the RSES study the same Medicine program as students who have come through Local Entry. Applicants must choose to apply through the Rural Student Entry Scheme OR through Local Entry, you cannot apply for both. Please carefully read all information available on our website so that you are aware of the dates and deadlines, the selection process and other important details. 2. Start your application on the Medicine Application Portal (MAP) selecting the rural option. Once you have started your application, you will receive an e-mail containing your password (receipt). The email may take up to 30 minutes to receive. Please do not start another application as this will lock you out. The password will allow you to log back in and work on your application. You must ensure that you have completed and submitted your application by the deadline. Late or incomplete applications will not be accepted under any circumstances. Remember that applicants are not selected based on the details provided on the application form. However, some of the information you provide may be passed on to interviewers prior to your interview. 3. Complete the University Admission Centre (UAC) application by the closing date. 4. Attend the Medicine interview (by invitation only). Applicants will be invited to interview by email, please ensure you check your emails frequently during this period. 5. Await the outcome of your application. Offers are made through UAC and selected applicants will be notified through their UAC account where you can accept or decline your offer as instructed. 6. Selected applicants are sent the UNSW Medicine Welcome e-mail with full instructions for enrolment, NSW Health requirements, timetabling etc. 7. Enrol in courses and pay your tuition fees. There are a number of steps that need to be completed by the dates specified below to fulfil the requirements of the UNSW Medicine admission process. September – November 2019 Interviews for rural applicants will be held at the Albury-Wodonga, Coffs Harbour, Griffith, Port Macquarie, Wagga Wagga and Sydney (Kensington) campuses. Applicants are selected for interview on the basis of meeting the UCATminimum score and having an RRMA-3-7 (Rural, Remote, Metropolitan classification system) rating of the home and school address for at least five consecutive or ten cumulative years since the age of 5. UNSW Medicine offers students the opportunity to complete Year 1 and Year 2 (Phase 1) of the undergraduate Medicine program at the Port Macquarie or Kensington campuses. There are 25 places available in Port Macquarie for students commencing study in 2020. During the application process applicants will indicate their preferred enrolment location for Phase 1–either Kensington, Port Macquarie, or both. For more information on the Port Macquarie campus see their website. 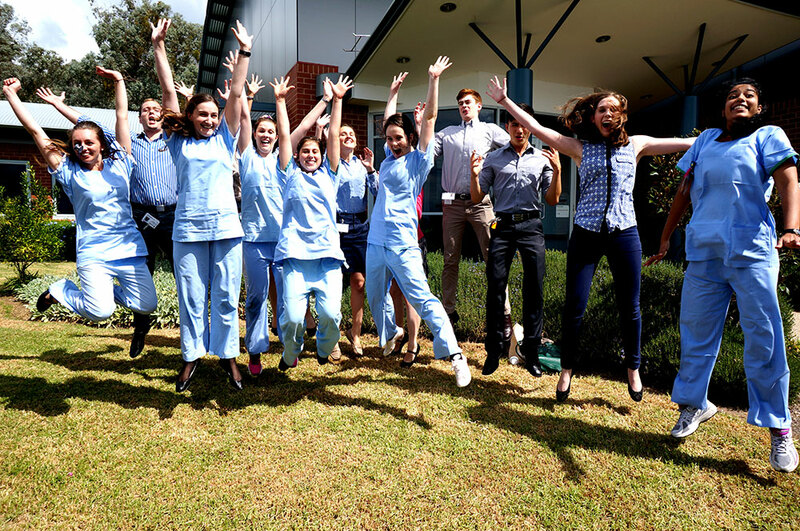 Students are able to complete the entire UNSW medical program in Port Macquarie. In accepting a place for Phase 1 at the Rural Clinical School Port Macquarie campus, students acknowledge that they will remain at Port Macquarie for all of Phase 1, and they are expected to remain at a Mid-North Coast campus throughout Phases 2 and 3. It is expected that students who gain entry via the Rural Student Entry Scheme will be allocated to a rural hospital in Phase 2 and/or Phase 3. With campuses across NSW including Albury-Wodonga, Coffs Harbour, Griffith, Port Macquarie and Wagga Wagga, the Rural Clinical School has had great success training Medical students since 2000. The reason for the need for this deadline is to allow main round offers to be finalised. It is usually the case that the only students adversely affected by this deadline for results are students who sit one of the "A" Level examinations and university students with unresolved exam results. We will do our best to consider these applicants, but cannot guarantee it. Using the above parameters, applicants are ranked. Applicants are selected based on the highest rank determined by all four measures. Scores will not be averaged, which means that a high score in one component will not compensate for a low score in another. For applicants seeking admission on the basis of the NSW Higher School Certificate (HSC), a minimum Australian Tertiary Admission Rank (ATAR) of 91.00 or equivalent is required to be eligible for consideration. Applicants who will have completed one year or more of tertiary studies at undergraduate level by the end of the year preceding their start in the Medicine program will be assessed on the basis of both high school results (ATAR or ATAR equivalent) and tertiary study results, in a ratio of 50:50. Applicants will be required to attain an academic rank of at least 91.00. Applicants who will have completed less than 0.75 full-time equivalent of their first year of a tertiary program by the end of the year preceding their start in the Medicine program will be assessed only on the basis of their high school qualification (see “Year 12 students” above). Please also refer to the section "Can I gain admission after partly completing or completing another undergraduate degree?" in the section Frequently Asked Questions. Please note: If an applicant has an ATAR or equivalent of less than 82.00, their tertiary results can never be sufficient to raise their academic results to the equivalent of the minimum ATAR of 91.00 required for consideration for entry. An applicant who scores an ATAR of around 95.00 would need to achieve distinctions in almost all courses in order to maintain the equivalent ATAR. For selection, UNSW Medicine considers two marks obtained from the UCAT ANZ: (1) the overall score of Verbal Reasoning, Decision Making, Quantitative Reasoning, Abstract Reasoning; and separately (2) the Situational Judgement mark. There is no minimum UCAT ANZ score as such. However, it is expected that only applicants who have reached the 50th percentile would meet the threshold to be invited for an interview. Applicants must sit the UCAT exam the year in which they submit an application to Medicine. Interviews are semi-structured and cover a wide range of relevant issues. There will be two interviewers drawn from academic staff, medical practitioners and community representatives. All interviews for rural applicants will be held be held during September, October and November (dates to be confirmed) at the Albury-Wodonga, Coffs Harbour, Griffith, Port Macquarie, Wagga Wagga and Sydney (Kensington) campuses. You will be invited for an interview by email. Interview times will be confirmed via email and the University reserves the right to change the date/time/location selected. Shortlisted applicants must be available to attend an interview in the set interview period. It is the applicant’s responsibility to ensure that they are available to attend an interview on these dates. Applicants who are unable to attend their interview on the relevant date will not be considered further. Applicants who indicate that they would accept an offer at either campus will also be able to nominate their preferred campus. It must be stressed however that this is only a preference and we cannot guarantee that we will be able to take it into consideration. Applicants maximise their chance of being offered a place in the UNSW Medicine program bybeing prepared to accept a place at either campus. However, it is important that applicants do not select a campus in which they have no intention of accepting a place. During Phase 1 of the program (years 1-2), it is not possible for applicants to transfer from one campus to the other under any circumstances. Please read the FAQ’s on UNSW’s Medicine website. 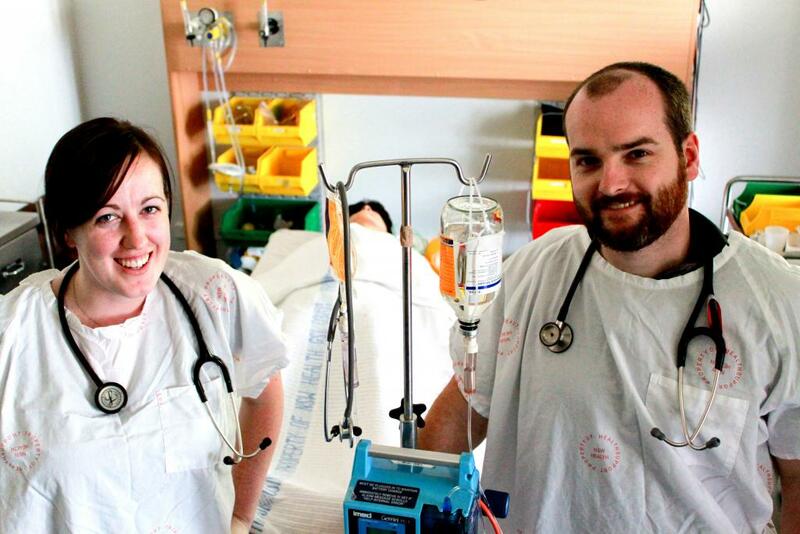 There are many scholarships offered to UNSW rural medical students. Scholarships for UNSW students website. Scholarships for rural students studying health degrees – www.nswrdn.com.au.